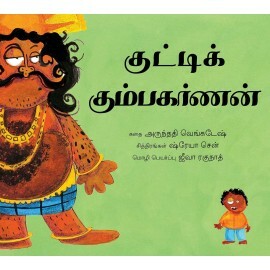 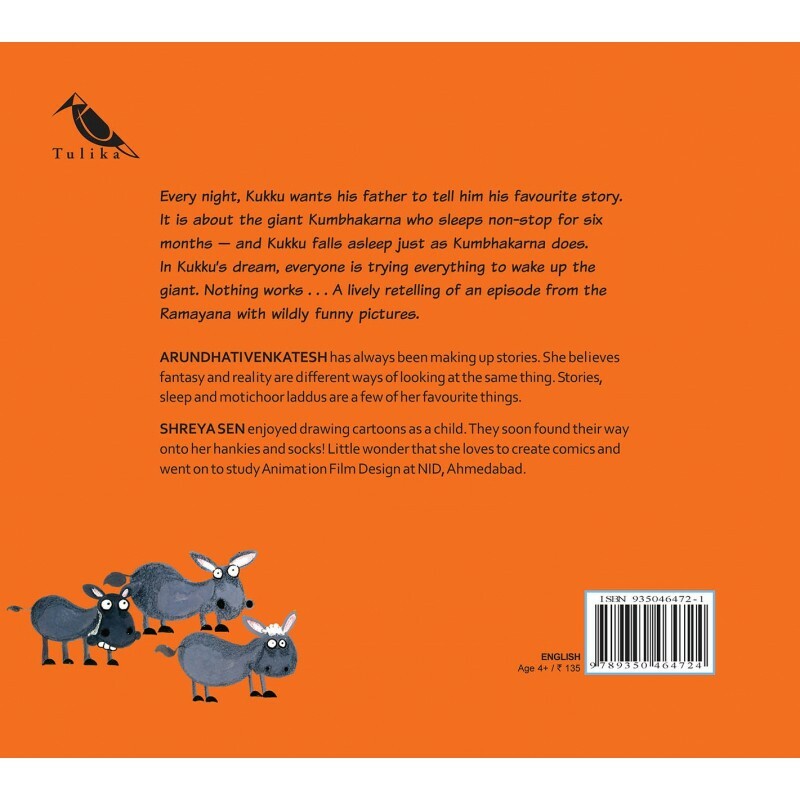 Every night, Kukku wants his father to tell him his favourite story. 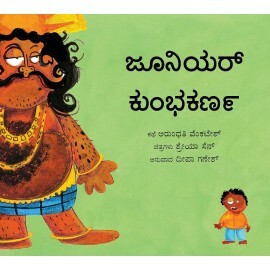 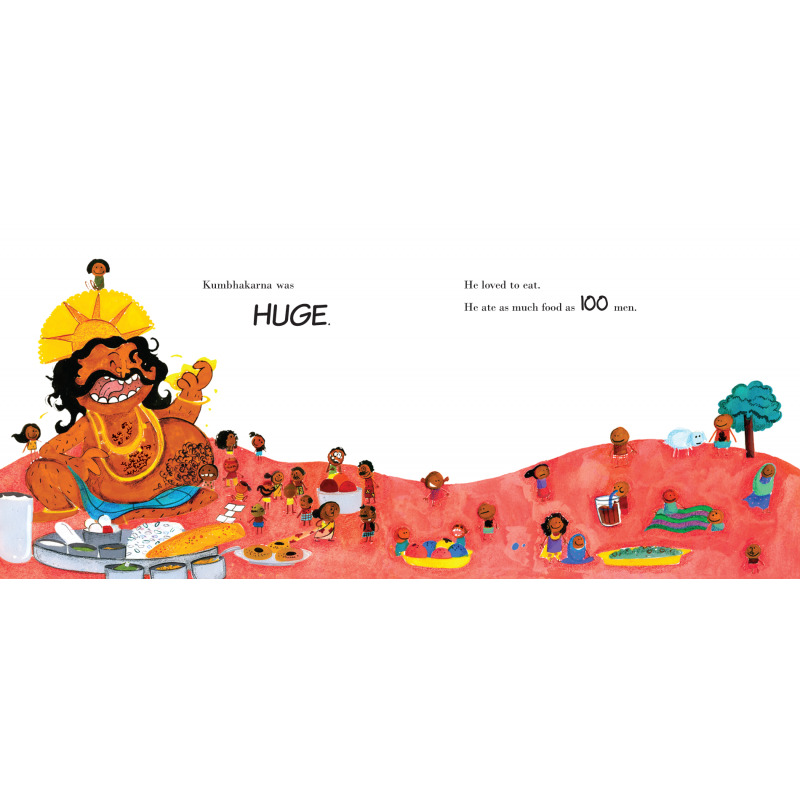 It is about the giant Kumbhakarna who sleeps non-stop for six months — and Kukku falls asleep just as Kumbhakarna does. 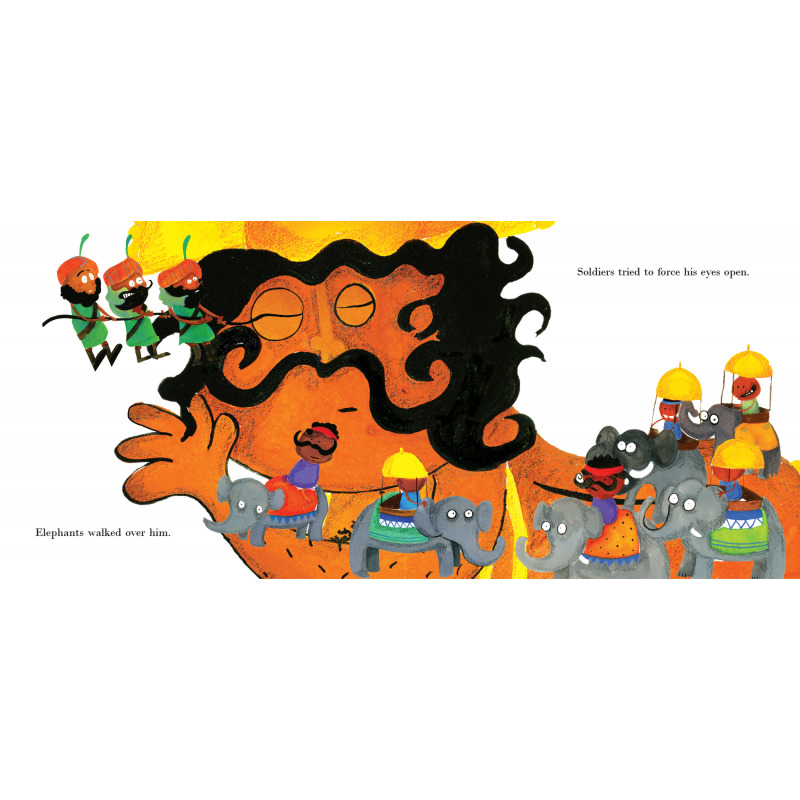 In Kukku's dream, everyone is trying everything to wake up the giant. 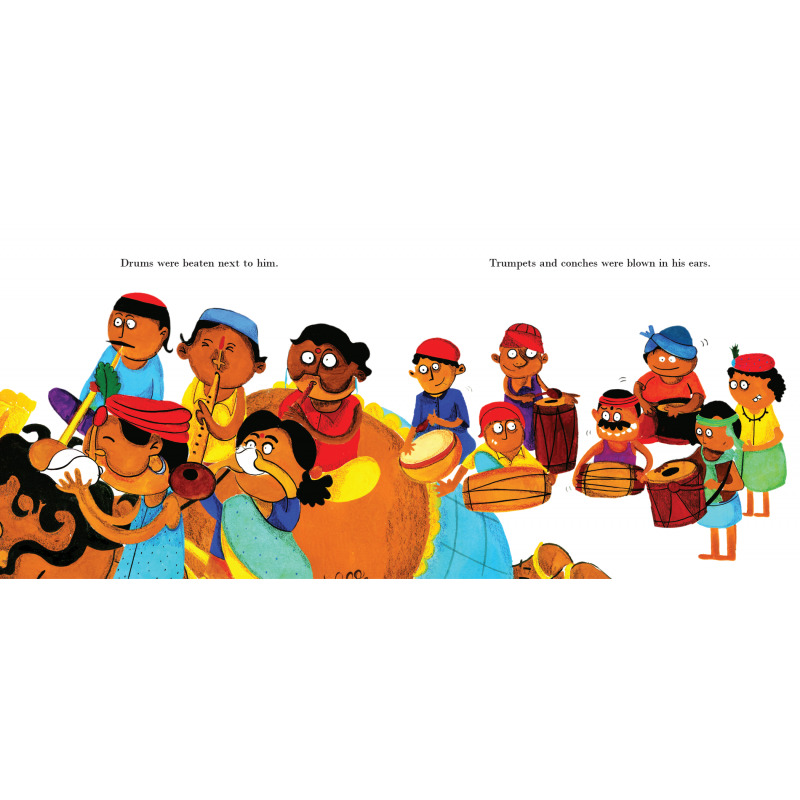 Nothing works . 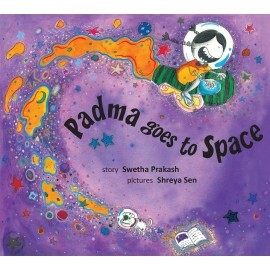 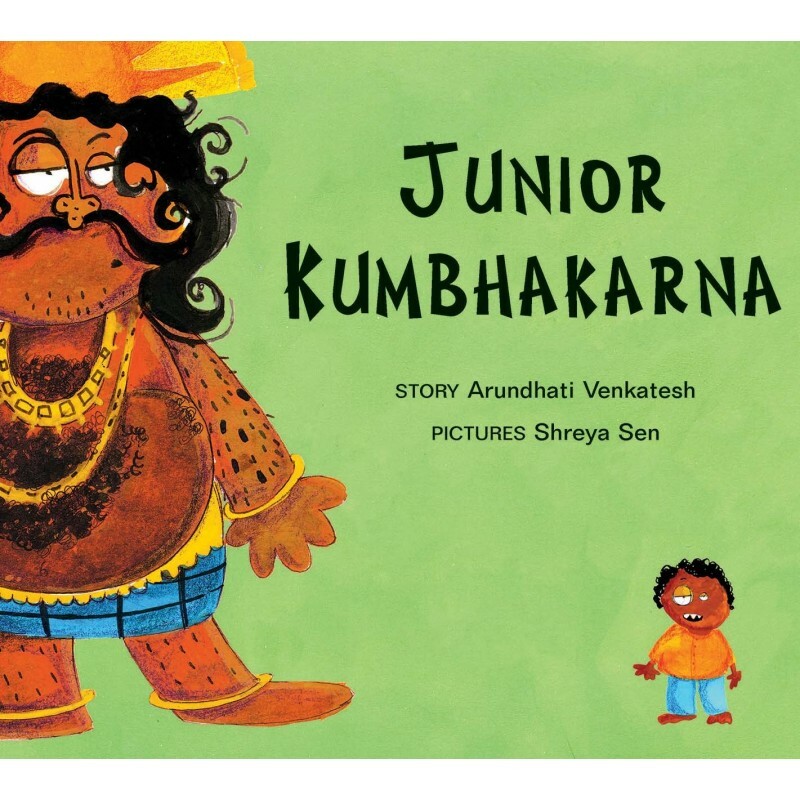 . . A lively retelling of an episode from the Ramayana with wildly funny pictures.